Everyone who knows fashion knows about Ford Modeling Agency – it is a staple within the modeling industry, all thanks to one power couple: The Fords. Back in the 1940’s Eileen and her husband Jerry founded the Ford Modeling Agency which sparked million dollar contracts, “supermodels”, and represented thousands of aspiring young women. With her husband controlling the backend of things, Eileen became the face of the company – scouting young women on the streets and spinning them into major stars. Some of the biggest names in entertainment and fashion were and are the product of Ford Models: Brooke Shields, Christie Brinkley, Naomi Campbell, Christy Turlington, Jane Fonda, Lauren Hutton, Kim Basinger, Elle Macpherson – the list goes on. Thanks to Eileen and her husband, Ford Models paved the path for some of the world’s largest modeling agencies to join the ranks; Wilhelmina and Elite are both cut from the cloth of the Ford empire. Eileen is also the person to thank for the majority of the fashion industry’s standards on models and their appearances. 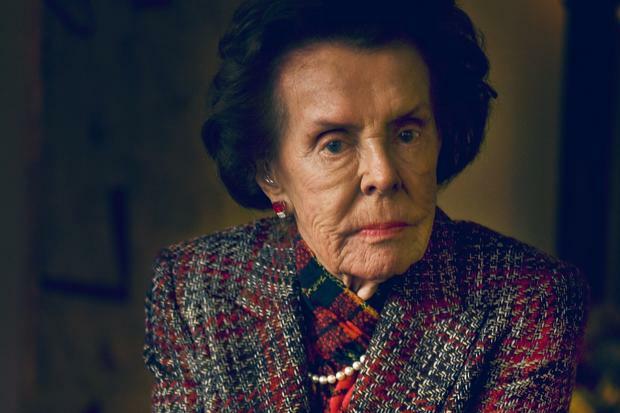 Known to be a harsh critic on beauty, Eileen was never hush-hush about her critiques – she once stated that of the thousands of girls who would walk through the doors of Ford Models a day, “maybe five of them were good.” Eileen passed away on Friday, July 11th at the age of 92-years-old.